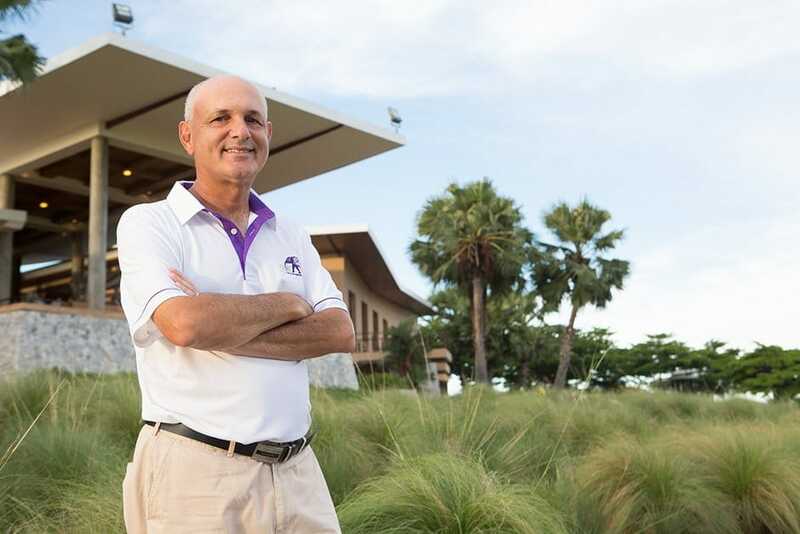 Bangkok, 10 March 2015 — Asia’s multi-billion-dollar inbound golf tourism industry needs an overhaul if it is to continue growing at the same pace as during the past decade, according to the managing director of the region’s leading dedicated inbound golf tour operator, Mark Siegel. Prices are becoming uncompetitive compared with rates in other markets. Inbound operators are competing for the same business, much of which is domestic. Service standards, including knowledge of English, need to be maintained and improved. Stand-alone courses in isolated beachside destinations aren’t a viable option for most visitors. Too much business is currently concentrated in high season. Many courses and facilities developed in the 1990s need upgrading. Destination marketing consortiums offer a multi-course approach to attract visitors and should be adopted more widely. Active and financial support by government tourism bodies is essential for a country or region to fully exploit its golf tourism potential. Mark Siegel, who has built Golfasian into a market leader, handling 15,000 inbound golf tourists a year and employing 55 staff in four countries, says amateur tournaments and designated amateur weeks in leading destinations are emerging as a new catalyst to attract golfers. “The Centara World Masters Golf Championship played in Hua Hin, Thailand last June attracted more than 450 male and female players over the age of 35 from 25 countries. This year it will attract 700 participants, while a tournament with a similar format to be held in Danang, Vietnam in September – the Accor Vietnam World Masters Golf Championship, is also expected to attract several hundred participants. Siegel says strategic partnerships involving sponsors seeking to identify with golf tourism, destination marketing organisations, national and regional tourism bodies and professional tour operators are essential for such tournaments to succeed. 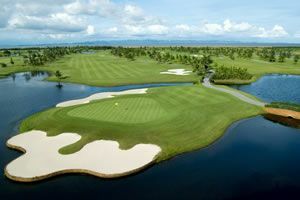 Mark Siegel cites Siam Country Club in Pattaya, Thailand, as an example of a course and destination committed to golf tourism. “Here, one owner has multiple courses in one location with 63 holes in total, which is quite unique. They keep prices at a reasonable level, cater for visiting golfers and offer a highly professional experience. “It’s the same with courses like Thai Country Club in Bangkok, which is almost 20 years old, but has been maintained to an impeccable standard, both on and off the course. Mark Siegel also believes there is a need for consolidation among inbound golf tour operators. “Too many are fighting over the same business, which is often domestic. Fewer and better tour operators would benefit everyone,” he maintains. Referring to prices, Siegel says green fees of $US150-$250 at some SE Asian courses, and in China, are affecting visitor numbers. “Some courses are pricing themselves out of the market, which is sad because every golfer wants to play the best course in a region. Among the trends Mark Siegel sees for the future are multiple destinations involving one or several countries, more men and women travelling and playing golf together, more low season visitors, and “undiscovered” places – such as Cambodia, Indonesia, and even Laos and Myanmar – to play golf. “Low season is actually a misnomer in some markets,” he says. 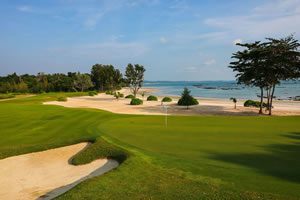 “In Thailand, June through October is a great time to play golf. It isn’t hotter than at other times of the year, prices are cheaper and courses aren’t crowded. In high season, December to March, it is the opposite so golfers need to be educated about the climate at different times of the year. Mark Siegel estimates that golf tourism is worth $US2-$3 billion a year to the economies of SE Asian countries. “There are more than a million golfers travelling to and within SE Asia each year. Average land packages are $US1000-$1500 per person. Add the cost of flights, food, entertainment and shopping and a typical golfer spends $US2000-3000 on a golf holiday. That’s very valuable to the economies of golf tourism destinations. Golfasian was launched in 1997. Mark Siegel bought the business in 2004 and has grown it into SE Asia’s largest and most successful inbound golf tourism company. Operating from headquarters in Bangkok, Golfasian employs 55 people in four countries (Thailand, Vietnam, Malaysia and Indonesia) and hosted 15,000 visiting golfers to these markets in 2014.